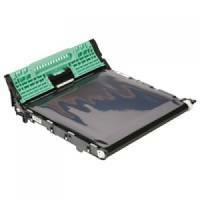 Brother DCP-9040CN/Multifunctional-9840CDW Belt Unit BU100CL Pack of 1 Brother belt unit BU-100CL for use with DCP-9040CN, DCP-9045CDN, MFC-9440CN, MFC-9840CDW. Page yield 50,000. 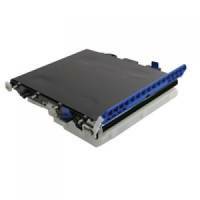 Brother TN328 Belt Unit BU300CL Pack of 1 Brother Belt Unit. For use with HL-4140CN, HL-4150CDN, HL-4750CDW series, DCP-9055CDN, DCP-9270CDN, MFC9460CDN, MFC9970CDW and MFC9465CDN printers. Approximate page yield: 50,000. OEM: BU-300CL. 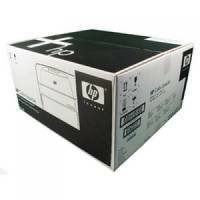 HP Laserjet 5500/5550 Colour Transfer Kit C9734B Pack of 1 Transfer kit to ensure print conditions. Securely applies toner to your page. Fits into your printer with ease. Gets results from the first use to the last. For use with HP Colour LaserJet 5500/5550. Yield of approximately 120,000 pages. 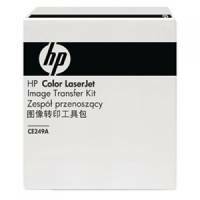 HP Colour Laserjet Transfer Kit CE249A Pack of 1 HP Colour LaserJet 220V Transfer Kit. 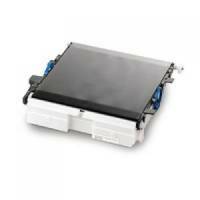 Designed for LaserJet Enterprise CM4540, CP4025 and CP4525. OEM: CE249A. Approximate page yield: 150,000. OEM: CE249A. 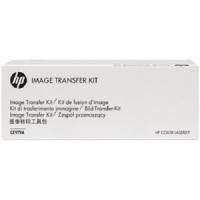 HP Colour Laserjet 4700 Image Transfer Kit Q7504A Pack of 1 Transfer kit to ensure optimum print conditions. Securely applies toner to your page. Fits into your printer with ease. Gets results from the first use to the last. For use with Colour LaserJet 4730/4700. OEM: Q7504A. 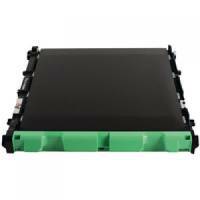 Oki C56/57/58/5900 Belt Unit 43363402 Pack of 1 Oki 43363412 transfer belt for use with C5550 C5600 C5700 C5800 C5900 printers. 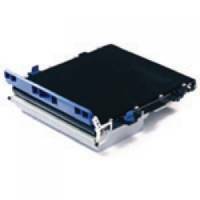 Oki C801/830/8600/8800 Mc860 Transfer Belt 43449705 Pack of 1 OKI Transfer Belt of fit the OKI C8600. Page Yield 80,000. OEM Ref - 43449705. Oki C310/330 C510/C530 Transfer Belt 60K 44472202 Pack of 1 Oki Transfer Belt. For use with C310/330 and C510/530/MC562 printers. Approximate page yield: 60,000. OEM: 44472202. 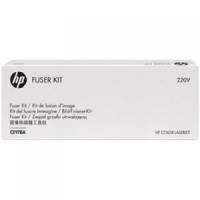 HP Colour Laserjet CP5525/M750 220V Fuser Kit CE978A Pack of 1 Replacement fuser kit (CE978A) for HP LaserJet CP5525 and M750 printers. Includes fuser kit, installation guide and recycling guide. 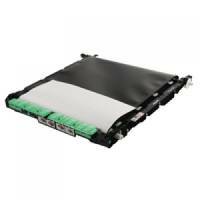 For 220V power supplies (UK, Ireland and Europe). Page yield: 150,000 pages. OEM: CE978A. HP Colour Laserjet CP5525 Image Transfer Kit CE979A Pack of 1 Replacement image transfer kit (CE979A) for HP LaserJet CP5525 printers. Includes image transfer belt, transfer roller, 8x feed/separation rollers and 6x tray pick rollers. Also includes installation guide. Page yield: 150,000 pages. OEM: CE979A. 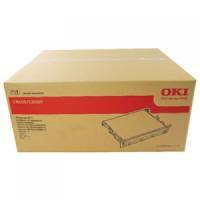 Oki C610 / 710 / 711 Transfer Belt 44341902 Pack of 1 Oki C610 / 710 / 711 Transfer Belt 44341902Non-Returnable. Page yield: 60,000 pages.